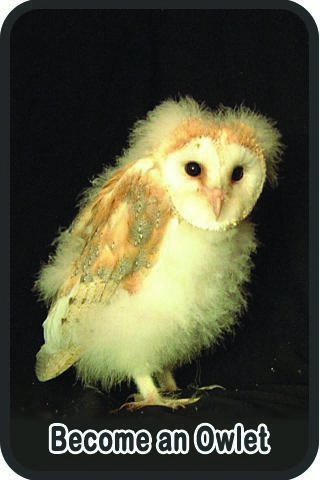 You are here: Home › Barn Owl facts and fun for kids › Barn Owl names – cherub or demon? The Barn Owl was given it’s scientific name –Tyto alba – in 1769, by G.A. Scopoli an Italian doctor and naturalist (1723 – 1788). Tyto alba literally means “white owl”, from the Latin word for white: alba and the Ancient Greek onomatopoeic name for an owl: tyto or τυτο. “Onomatopoeic” means a word that sounds like the thing it describes, for instance in English we might call a Tawny Owl’s call a “hoot” and a Barn Owl’s call a “screech”. The Barn Owl has lived in farms and villages for hundreds, probably thousands of years and has been known by a huge variety of names over the centuries. Some Barn Owls live in old church towers and occasionally when people see one flying, white and silent, over a graveyard, they think of ghosts and death – or – an angel or cherubim. What would you think if you saw one? – see the list of Old English names below for clues – and the bottom of the page for the answers. Can you guess why people called the Barn Owl these names?